On Monday September 1st my dear colleague Jørgen Lerche Nielsen (RUC) and I will officially start our 4 week course on “Learning Theory” at the Masterprogramme in Ict and Learning (MIL). 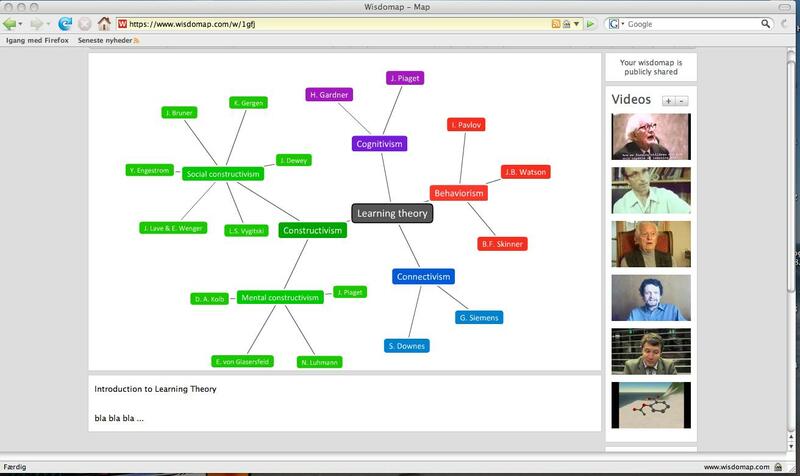 At an upcoming f2f seminar in mid Septeber we have roughly 1 hour to introduce the field of learning theories! Fortunately we have the following weeks to elaborate and clarify questions in the students online discussions, and learning theory will be a recurring topic for the students to adress throughout the education. It’ll be quite interesting to hear what our students think of this way of presenting and collecting ressources ..